Many will claim that the jury is still out on whether viruses pose a significant risk to mobile devices. However, while Android and iPhone purists are arguing about whether mobile malware exists, the figures show that infections are happening. Though the debate may be far from finished, failing to take steps to protect yourself is only inviting trouble. We recommend Norton Anti Virus App for mobile devices. Mobile anti virus apps are a quick and easy way to side-step the issue altogether and ensure your security. According to research by Kaspersky Lab, 2017 saw over 5 million malicious code injections on mobile devices. Over 94,000 mobile banking trojans were reported, alongside over 544,000 ransomware infections on smartphones. In short, the problem of mobile malware is very real. While some marketers are still trying to spin these operating systems as virus-free, the days of care-free smartphone use are truly over. Hackers can access your device in a multitude of ways, and it could lead to significant disaster. The GGTracker Android malware of 2011 had costly results for its victims. It took the form of a fraudulent Play store web page, encouraging users to download battery-life saving apps. Once installed, it sent premium SMS messages from the phone, which cost the user a staggering $40 per text. Other iterations saw apps that farmed data and passwords, to grant access to the victim’s bank account. While it is possible to avoid these infections – if only by chance – the likelihood of contracting malware is higher than ever. Today, pre-empting the attacks is the best way to protect your mobile device. As internet connection became commonplace with mobile devices, so did the threat of malware. Any online hardware is vulnerable to external attacks, as the internet provides a direct route of access. Vulnerabilities. If you use an Android device, then you aren’t protected by the sand-boxing schemes that make Apple and Google somewhat safer. Because of this, it’s easy for viruses to spread across your system’s vulnerabilities and cause havoc. However, even if you don’t regularly use an Android, vulnerabilities do exist. iPhone malware, such as the iKeyGuard keylogger, is used by cybercriminals to spy on your device. No company has thus far created a fully secure smartphone. Rogue Apps. Most mobile malware piggybacks on apps, but some are designed specifically to act as a backdoor for viruses. Particularly in unmonitored app stores, it’s hard to spot dangerous threats until it’s too late. Earlier this year, 500,000 users were bombarded by endless ads and notifications, thanks to a virus attached to six QR code reader apps. Antivirus provides efficient scans of all your software to avoid being caught out. Phishing Protection. Phishing refers to the practice of sending fraudulent messages to trick to the receiver into parting with valuable information. Many forms of phishing involve an infected link, which downloads spyware onto your device. Since the practice has also recently become common with SMS, smartphones are a favorite target. Good quality antivirus will highlight threatening links and websites. Adware. Malware can also exist in infected ads on websites in your browser. If you accidentally click while on your phone, the virus can automatically download and cause serious problems. Adware will overload your phone with endless adverts, to the point that it could become slow and unusable. Avast uncovered this type of threat in 2015, when malware from a gaming app sent users system notifications that told them to download software to improve speed. The software was another virus. Developing Threats. Perhaps the most critical reason for mobile antivirus is for threats that don’t even exist yet. The malware landscape is constantly changing, as cybercriminals continuously invent new and innovative ways to catch their victims. Security firms often have firsthand information about developing threats, and protect their customers before the problem becomes an epidemic. Although countless smartphone antivirus providers exist, many have been exposed as malware tools themselves. Fortunately, many leading antivirus brands offer mobile apps. The benefit of using well-known and trusted brands is that you can ensure your security and become part of an active online privacy community. 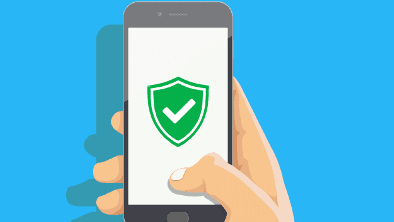 We ranked the following companies as the best options for mobile antivirus apps. With 25 years of market experience, Norton is a tried and trusted brand that guarantees peace of mind for their customers. Its antivirus provides superb detection rates and additional anti-phishing capabilities. The upgraded packages also offer two-way firewall protection. The privacy report monitors 20 types of data categories to highlight any information leaks of personal information. Innovative app screener checks all software for privacy issues, with an additional feature that can scan before you download. Unsecured Wi-Fi connection tracker will highlight potentially dangerous public hotspots. Safe Search protects your device from sites that may carry ransomware, Trojans and other viruses. Sign up with Norton Antivirus here. Panda is another industry veteran that promises trusted antivirus protection, with fast system scans and consistent malware detection rates. Though it’s not the best on the market, it’s a reliable choice. Plus, it also offers a free option, which – although the features are reduced – is a great way to try before you buy. On-demand scans provide a quick and thorough full-system check. Real-time monitoring will flag malware threats as they arise. Full sets of privacy and anti-theft features come with the mobile security package. Sign up with Panda here. Despite being lesser-known in the antivirus field, BullGuard boasts a powerful antivirus engine. It uses BitDefender signature matching to uncover and resolve potential malware threats – and has a pretty good reputation regarding its success. Though additional security features are limited, it will most certainly do its job to protect from mobile malware. Alerts for malware, trojans, viruses and phishing threats. Cloud-based AV engine doesn’t drain your battery. Remote control security available, so you can manage your phone from other devices. Free installation version available for mobile antivirus only. Sign up with BullGuard here. McAfee provides lightweight antivirus protection that comes with minimal system slowdown. Its innovative pricing packages allow users to cover all their devices with one subscription. The software also offers a multitude of extra features for comprehensive mobile security. Antivirus scans apps, files and SD card to ensure no infection. Web protection protocols scan for suspicious links in emails texts and QR codes. Anti-theft protection is available as an additional security feature. Full review of which apps are accessing your personal data. Ignore the propaganda that says mobile devices don’t need antivirus. This view is outdated and dangerous. As more and more of our lives rely on smartphones, these data caches are gold mines for cybercriminals. Using a high-quality antivirus app will provide hands-off support, to keep your device clean and reduce the chance of an attack. Plus, many come with invaluable added features, to supercharge your protection and keep your phone safe! < Previous Is What You Do Online Being Watched? Yes! It's called "Targeted Advertising"